WWE MMC Week 13 Live Viewership Suffers Big Drop, Season 2 Breakdown & Updated Standings - Wrestling Inc.
Week 13 of WWE's Mixed Match Challenge Season 2 saw the MMC Semifinals wrap with the finals being confirmed for Sunday's WWE TLC pay-per-view. As noted, Jinder Mahal and Alicia Fox defeated Apollo Crews and Bayley while R-Truth and Carmella defeated The Miz and Asuka. 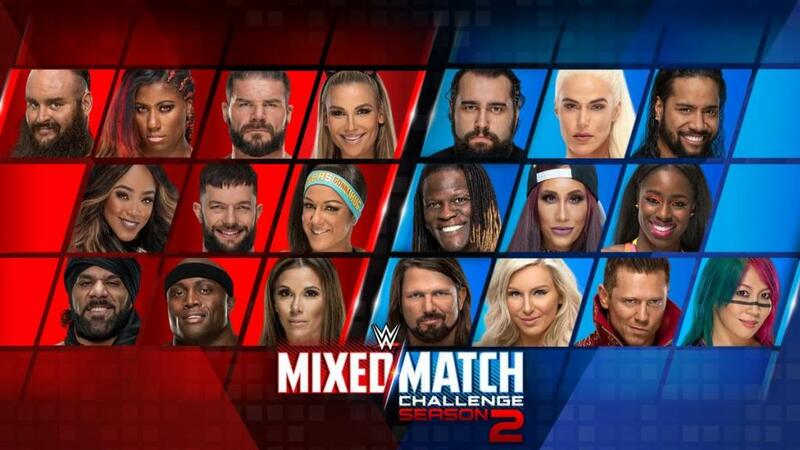 Season 2 of MMC will wrap on Sunday at the TLC pay-per-view as R-Truth and Carmella take on Mahal and Fox. The winners will earn the #30 spots in the men's and women's Royal Rumble matches at the 2019 Royal Rumble pay-per-view, plus a vacation to anywhere in the world, at least in the storylines. This season was filled with injuries and replacements. Braun Strowman was replaced by Curt Hawkins, Finn Balor was replaced by Crews, Kevin Owens was replaced by Bobby Roode and AJ Styles was replaced by Jeff Hardy. Live Facebook Watch viewership for this week's episode peaked at 17,700 live viewers. This is down 60% from last week's high of 44,700 live viewers. The high for this season was 74,400 live viewers in Week 6 and the low for the season was the 14,000 live viewers in Week 10. Live viewership for season 2 was down from season 1 as the season 1 premiere peaked at 135,600 live viewers. Below is a breakdown of where live Facebook Watch viewership peaked each week. We did not receive data for week 2. Let's get the #WWEMMC Semifinals going! @WWEApollo joins @itsBayleyWWE, and they'll face @AliciaFoxy & @JinderMahal right now on @Facebook Watch! See you Sunday, @CarmellaWWE & @RonKillings.